For years, a 1200 pages, about 13 pound Bible from 1588 has decorated of a loft in Balestrand by the Sognefjord. Now it finally will be displayed in public. – No one could tell much about the Bible. But I have an aunt who is interested in old objects. When she saw it she thought we should get in touch with the University of Bergen. I sent them an e-mail, and after this it has been kept in the attic, says owner Sissel Marie Nygård to NRK.no. 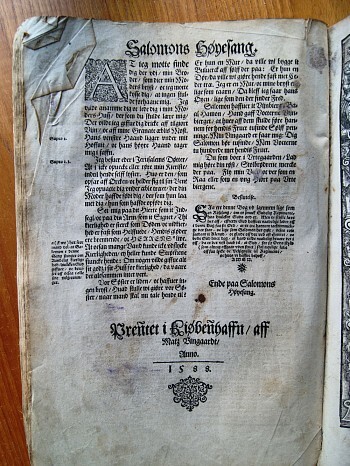 The Bible is printed in Copenhagen in 1588 and has been used as decoration outside the guest room in the attic where it has been lying for 15 years. 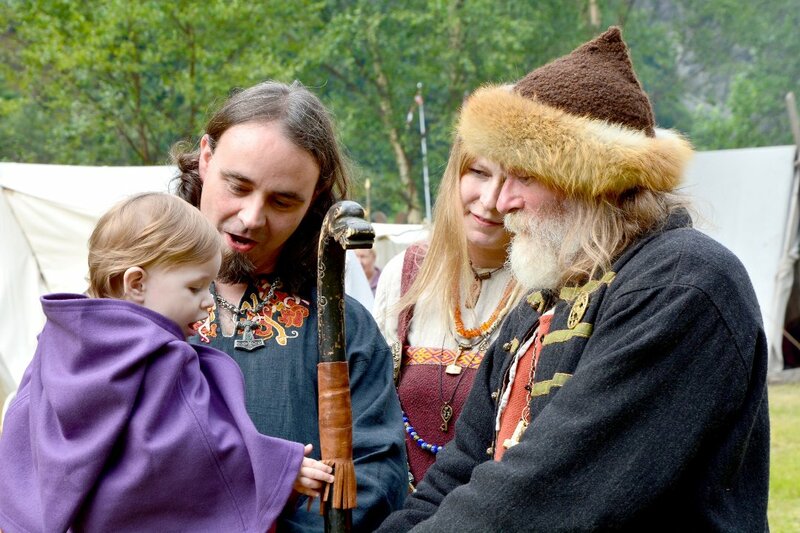 But when Nygård heard that Balestrand parish was looking for old objects in connection with Tjugum Church’s 150th anniversary, she brought the rare discovery to the priest. Parish priest Audun Systad tells Sogn Newspaper that the richly illustrated pictorial Bible has a different content than today’s Bibles. – It also contains apocryphal writings. Texts considered to be divinely inspired by religious authorities, he tells the newspaper. And now the Bible will be displayed at an exhibition at Kviknes Hotel in connection with the anniversary week in October / November. Solomon’s Song of Songs: The text is in Old Danish and got other letters than today. Sissel Marie Nygård does not know how it did end up on the farm in Balestrand. At that time it was not common that people owned this kind of Bibles. This is not the first old Bible that has been found in Sogn og Fjordane County. One year ago, Norwegian Broadcasting Corporation could report about a Bible from 1550 owned by a farmer in Øvstedalen in Sogndal. It is now stored in Sogn og Fjordane County Archives. 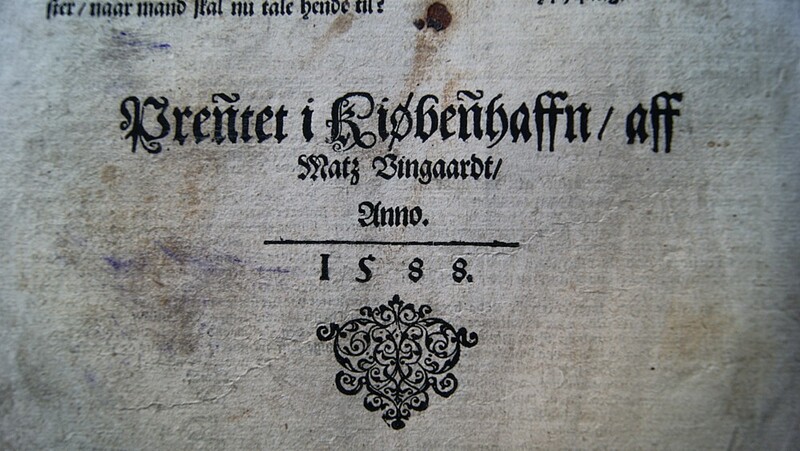 Bible expert Johnny Kaspersen told Sogn Nespaper that the Bible from 1588 only was published in 1500 to 2000 copies. They were meant for the churches, but some rich people also could afford them. – At the time, a Bible and a bull did cost about the same, he says.